Sir Henry Spurrier (1898-1964) was a British engineer and industrialist, and the third generation of the Spurrier family to head Leyland Motors. Spurrier (Henry III) started working life as an apprentice in his grandfather's (Henry Spurrier) firm. During World War I he was a pilot with the Royal Flying Corps. Immediately after the war Spurrier involved himself in car development, working with the chief engineer at Leyland Motors, J. G. Parry-Thomas and with his assistant Reid Railton. They produced a luxury touring car the Leyland Eight, with which they intended to compete with Rolls-Royce. It was exhibited at the 1920 London motor show, only eight however, were ever built. Sir Henry inherited control of Leyland Motors from his father in 1942, and successfully guided its growth during the postwar years until his retirement in 1964. 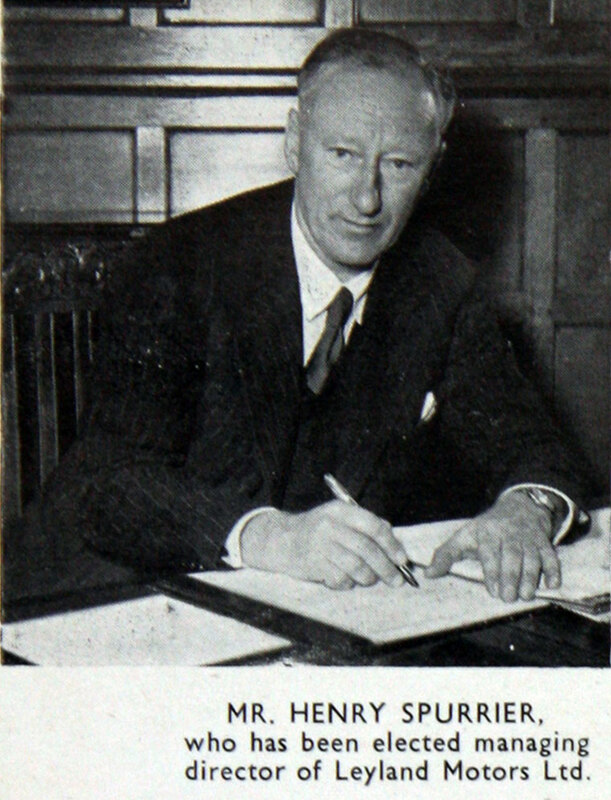 After his father's death, Spurrier progressed to become Managing Director of Leyland Motors in 1949. Spurrier was knighted in 1955. Under his leadership Leyland Motors acquired Standard-Triumph International in 1961 and the newly enlarged company became the Leyland Motor Corporation (LMC), and a car producer once again. 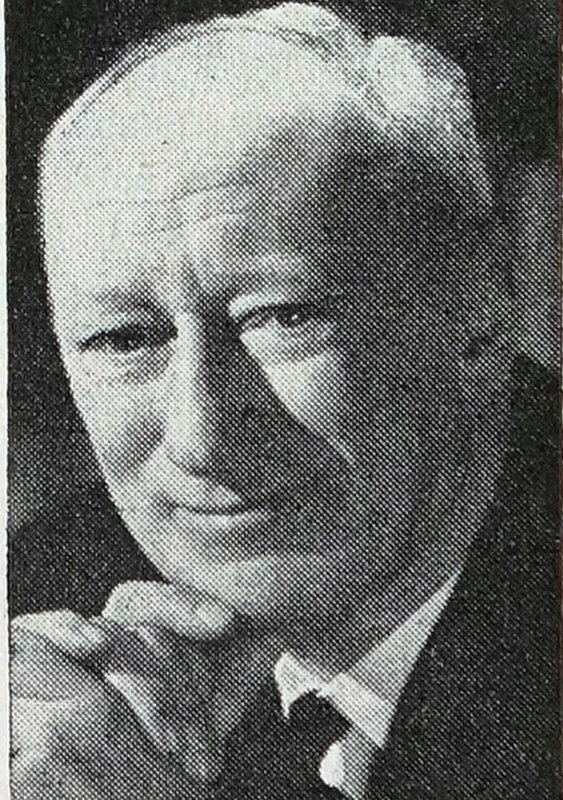 Spurrier died in 1964 and Donald Stokes took over as head of LMC. Sir Henry Spurrier (Member), the last of three generations of the family to be head of the Leyland Motor Corporation, died on 17th June at the age of 66. Sir Henry's whole life was bound up with that of the Company, from his apprenticeship in the early part of the 1914-18 war to his election as its first President in 1963 when ill-health forced him to retire. As a young man he worked with Parry Thomas and Reid Railton to develop the famous Leyland Eight. Until the 1939-45 war he travelled extensively and studied overseas markets and then, when war came, he was appointed General Manager of a group of firms which produced the famous Centaur, Cromwell and Comet tanks. When he succeeded his father as Chairman, his earlier travels enabled him to direct Leyland's efforts towards the export market. Sir Henry was knighted in 1955. He became a Member of this Institution in 1947 and he was also a Member of the Institution of Production Engineers and of the Institute of Transport. This page was last edited on 30 November 2018, at 13:13.